Did you think we were the only fashionistas who love a great deal? Guess again! Celebs love to pinch their coins and dig for clothing just like we do! Below, I have listed several celebrities who have admitted their love for the thrift store….. When Elle was introduced to the world in 2011, a budget for wardrobe was not in the plans. What did she do? Elle walked right into Goodwill and bought this bright orange blazer! Don’t want anyone stealing your style? 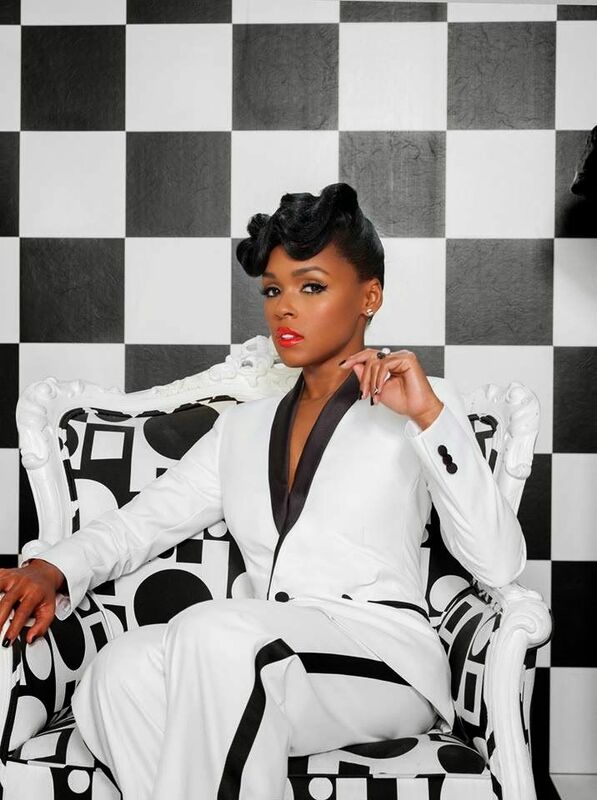 Well neither does Janelle Monae! “I like one-of-a-kind pieces,” the singer said. “I don’t like everybody walking around in stuff that I have on.” Janelle’s favorite stores to shop at are Rag O Rama and Poor Little Rich Girl in Atlanta, GA.
As you can see thrifting doesn’t discriminate. It is a lifestyle we can all afford. Would you like to be featured as a guest for “She Thrifts?” If you are a thrifter and don’t mind showcasing your style email thriftinghuntsville@gmail.com. Put “She Thrifts” in the subject line.